Girllyen Own Studio House. This idea pop up when I heard somebody says ‘GOSH’ through our recent meeting. I change my mind on renting out my apartment and start to plan for GOSH project. Why go studio? There are several points that let my eyes open and create the opportunity for myself to build a studio for my own. This studio would be more to be like my current digital room. Instead of having dark room in my house, why don’t I just play around with my own studio right? Other reason would be, I need to be home all the time, reduce all the driving stress, car maintenances and fuels, time consuming, and the entire unnecessary walk at shopping malls. Where should I start? Selling my laptop is my starting point. I’m going to take a new desktop. This is to let my self come back on my digital room. Next would be the Nippon paint shop, not to buy the shop but I’m going to buy some white color wall paint, I need about 2 cans of 5 liter paint so I don’t have much trouble for my backdrop later. Next would be a UV curtain, to prevent the unnecessary sunlight during the day. I have this curtain already the only thing I need is to install the rail on top to hang the curtain. Light is the most important thing to put in a studio, am I right photographers? I might look for Cold light for the room first before getting a hot or warm light. Reflectors and strobes will be next. I am not rushing over this project, as my apartment needs some renovation at the moment. I hope the GOSH project will be fully accomplished in November 2010. Therefore, I can start my ‘Naked Food Story’ portfolio, ‘Be still attack’ portfolio and ‘Girllyen 365 degree” portfolio in the year of 2011. Strives for success, never lose hope even your heart is breaking. m looking forward for GOSH! aiks, wat happened to the intended tenants? fyi, i already sent out the tenancy agreement weeks ago. did u received it? 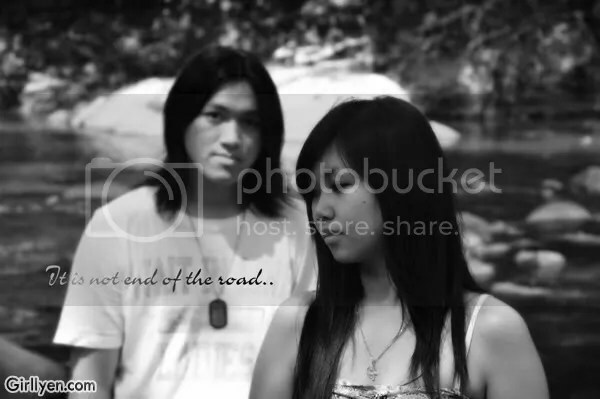 RajaAmuzo..u are my official model.. so bare with it.. hahah..
Cath.. Thank u so much..
Corn.. bikin meradang ni.. most of the people want to buy the house.. i didnt see it.. will check later though.. thank u so much corn..
RajaAmuzo..u are my official model.. so bare with it.. hahah..Chegu.. thank u~! Really need motivational support here.. :DCicak.. Mesti.. hehe.. nanti time house warming.. ko mesti datang ok? :DSheila.. and u will be one of my model too.. can? :DCath.. Thank u so much.. SJB.. thank u thank u! *hugs*Corn.. bikin meradang ni.. most of the people want to buy the house.. i didnt see it.. will check later though.. thank u so much corn..
all the best girl.. and bila house warming? jgn lupa invite sa haha..